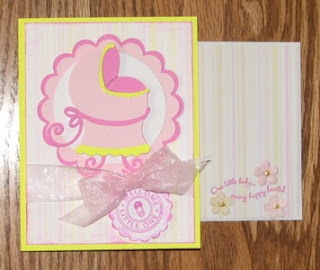 I have been making many cards lately and here is one that I made for a friend that is having a baby. I really like using the New Arrival cartridge and my cricut. It has so many cute images on it. I also used the scraps to make a matching envelope. So super cute!! I love the colors and your bassinet turned out so cute!